Feet take a beating every day – more than any other body part. So shouldn’t you help them look awesome? The new 2018 Twelve Days of Socksmas does. It conveniently packages 12 fancy, fresh, awesome pairs of women’s or men’s socks for a new surprise pair every day. Since 2014, we’ve shipped over 156,000 pairs of socks across Canada. And independent studies showed that people who wear crazy socks are smart, successful, and revolutionary!† So in under two weeks, expect their inner genius to appear. With an exclusive collection just for our Twelve Days of Socksmas, you won’t have to worry about duplicate sock styles from our Sock Lovers Advent Calendar™ or Sock of the Month Club. We’ve taken great care to bring you 12 designs that have never been shipped to our members. And the styles in the Twelve Days of Socksmas won’t be shipped out during 2018 either. You can rest easy knowing that your awesome style will be preserved. As a bonus, we’ve even added some new suppliers, just for this collection. The fine print: Pricing shown in USD unless otherwise noted. Orders begin shipping on or by December 1, 2018. Orders received after December 13, 2018 may not arrive before December 25 in some remote areas of Canada. Watch your email for shipping notification, including tracking information. All Twelve Days of Socksmas collections include tracking from Canada Post. Pricing to Canada in Canadian dollars and include standard shipping and handling fees but are subject to taxes; nobody can escape Canada Revenue Agency. International shipping charges apply. See checkout for pricing. 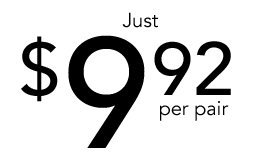 Images in the page are for illustrative purposes only. Sock styles seen on this page will not be in the collection. That’s a surprise after all. 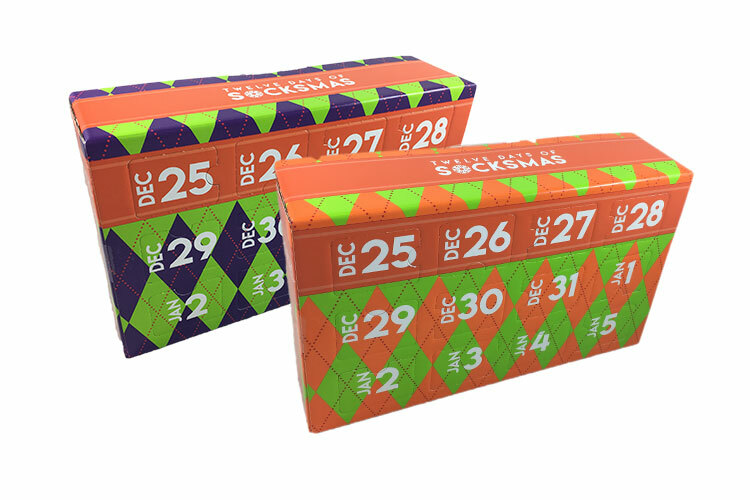 Sock Box Global launched to bring our unique Sock Lovers Advent Calendar™ to the world – something that's only been available in Canada since 2015. We source awesome socks to help brighten up your sock drawer and make your day awesome.